Thank you to everyone who joined us for an outstanding recital by pianist George Li '13 to benefit Walnut Hill's campaign, Invest in Excellence: Front & Center. 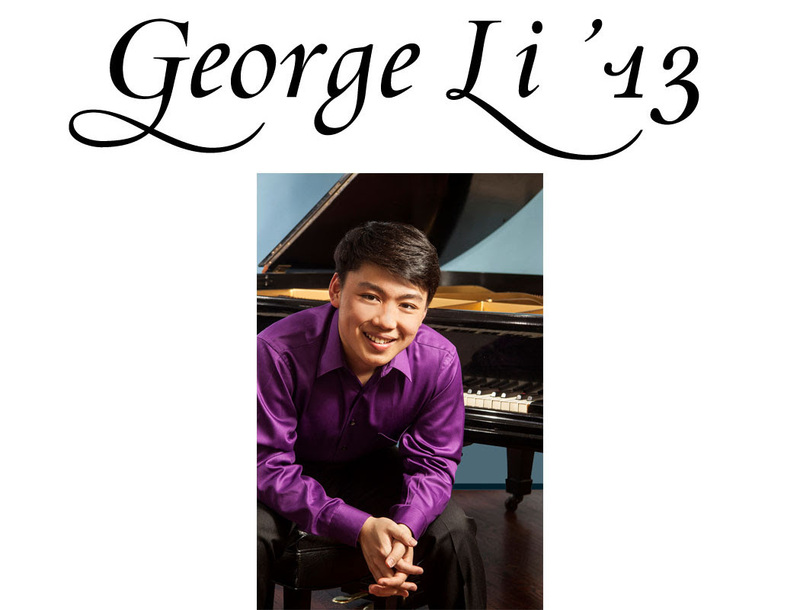 Acclaimed concert pianist George Li ’13 returns to Walnut Hill this June for a special concert to raise funds for the campaign. Silver medalist in the 2015 International Tchaikovsky Competition and winner of the prestigious XIV Concours International Grand Prix Animato 2014 Paris, Li is regarded as one of the world’s most talented and creative young pianists. We’re thrilled to welcome him home and look forward to a sellout concert in the Mollie T. and John Byrnes Performance Studio in the Delbridge Family Center for the Arts. "Prodigies have fabulous fingers and amazing memories. Li has far more than that. He is a thoughtful, expressive musician who happens to play the piano incredibly well." The ribbon-cutting ceremony in September was a fantastic way to introduce the beautiful new Delbridge Family Center for the Arts to our community. On the evening of October 15, 2016 we came together once again for the building’s inaugural event: the Campaign Launch. Guests were greeted by the sounds of Walnut Hill’s first-ever jazz ensemble, a group of six talented music students on trumpet, bass, piano, drums, and vocals. The celebration formally kicked off with remarks from Betsy Paine McClendon ’65, President of the Board of Trustees, and Head of School Antonio Viva in the beautiful dance studio on the second floor. Alumni, parents, and friends of the School enjoyed an elegant dinner overlooking the campus through the studio’s towering glass windows. Guests also heard about the Capital Campaign—for which 75% of the $15 million financial target has already been raised—and the campaign’s goals: the creation of the new building itself, increased financial aid, growth of the School’s endowment, and expansion of resources for day-to-day programming. A dessert reception followed, with more faculty and staff joining in the festivities. Guests had the opportunity to admire student artwork in the Woodside Gallery. Our guests then entered the Byrnes Performance Studio and were treated to a showcase of our arts disciplines. The showcase started with a clever short film, Flux, which was written, directed, and edited by senior Writing, Film & Media Arts students. The film was accompanied by a piece composed by Si Hyun Uhm '16 and performed by a trio of music majors. The cross-disciplinary presentation resulted in an impressive mix of visuals and audio. Next, guests enjoyed a performance by Evren Ozel ’17, a gifted pianist who beautifully played selections of Bartók, Debussy, and Chopin. The Dance Department was also featured, performing a duet as well as a group number. “Seeing what the space is capable of was particularly exciting for me as a choreographer,” said faculty member Diane Arvanites, who choreographed the pieces. “Because of the nature of the seating, I created choreographic parameters for ‘fair’ viewing on all sides. It was a great exercise that changed the way I look at and make dance.” One dance piece was accompanied by a quartet of music students, continuing the interdisciplinary theme. We hope that those of you who have not yet experienced the Delbridge Family Center for the Arts will visit us soon to see it for yourself. Our first public performances in the new space start next month with William Shakespeare’s As You Like It—check out our performance calendar for details. We are delighted by this magnificent addition to our campus, and the promise of future interdisciplinary collaboration. If you are interested in learning more about our current Capital Campaign, please visit our Campaign Gifts page or contact Marie Longo at mlongo@walnuthillarts.org.